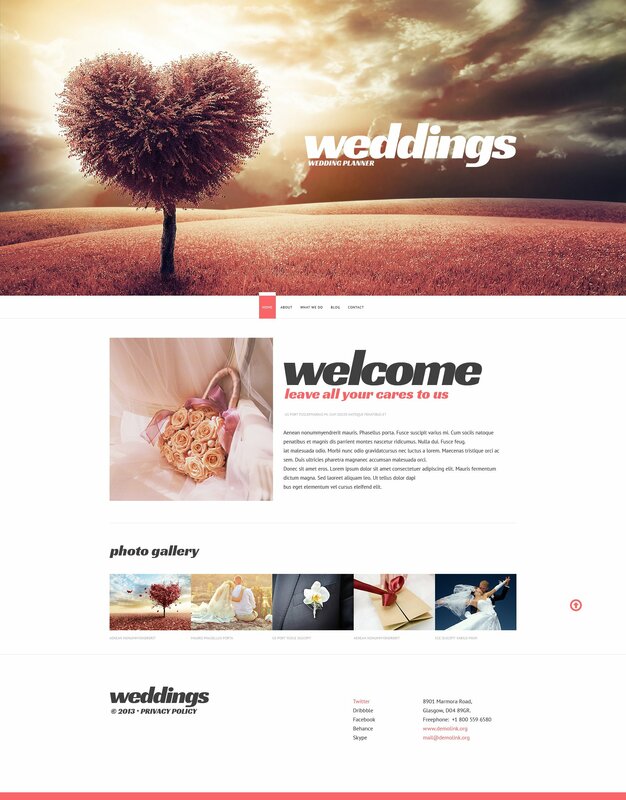 This template is a marriage planner website theme developed for bringing your site on the net. A proper wedding consultant, wedding planner agency or wedding planner services website will make a customer's journey as easy as possible - and that's what this design really does. As you see, this layout offers practically all components for your internet visitors. A detailed documentation file as well as free 24/7 tech support are bundled. You can rarely get a more appropriate web template for your enterprise, so grab the chance and check out this one.